Full circle; ten years ago Les Bleus manager Raymond Domenech added in his list Hugo Lloris a young goalkeeper from Nice, just four months before the Euros 2008 in Austria and Switzerland (6 February 2008). This was the 37th name in the final list and the french press had a field day. A fifth goalkeeper, was it a joke or another one of Domenech’s bizarre management ? After all the games against Congo and Spain were only friendlies and surely four months before D-Day the final list should be ready…shouldn’t it ? Lloris had already been selected to play with the U-21 (Les Espoirs) but his selection to the upper level was fully deserved; he should have been called sooner, but a nasty knee injury kept him out for several months. The 21-year young man came back to his club OGC Nice and showed his quality by helping Les Aiglons win versus Paris st Germain 2-1 the Parisians first defeat away. Since then , the young keeper showed many times his worth staying unbeaten while bossing the second best Ligue 1 defense(16 goals conceded). By adding Lloris in the Bleue squad, the french manager sent a powerful signal even if Grégory Coupet, Mikael Landreau, Sébastien Frey and Steve Mandanda were set to play before the Niçois , the writing was on the wall: the U-19 European winner was set for a big future. All he had to do is to be patient but it wasn’t that easy:” it’s difficult to stay out of the game, difficult to accept to watch my mates on the pitch and being unable to help them” he said about his longtime injury. 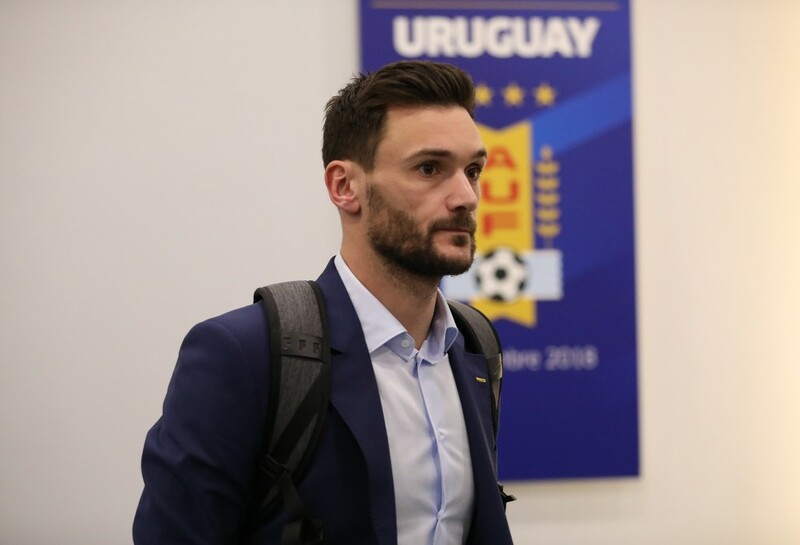 Despite his call to join the senior team Lloris was also called by coach Erick Mombaerts to help the Under-21 french team qualify for the 2009 UEFA European Championship against Germany. The Niçois honored the call up and started the second leg; with France seconds away from a spot in the tournament because of the team’s 1-1 draw in the first leg, Germany scored a late goal, thus ousting France from the competition and ending Lloris career with the U-21. The newcomer played his first senior game with the B Team vs Congo DR and after receiving some other calls, he earned his first cap on 19 November 2008 in a 0-0 draw against Uruguay. 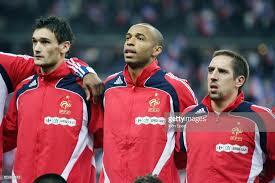 He captained France’s victory two years later, at Wembley against England( 1-2 France). His first cap against the Uruguayan team ten years ago was a stepping stone to his international career but now after ten years of Bleu-Blanc-Rouge adventures, happy memories, but also some very sad ones , what about the french captain ‘s future? After keeping another clean sheet “St Lloris” did he leave the stadium thinking about the near future ? He said, no it wasn’t the right moment for he still thinks that he can help Les Bleus and remembering his heroics at the World Cup, he sure can ! Full cIrcle? Maybe but obviously the french captain has still many plans about the future, his future; maybe he still remembers what another great french player told him when he was only a sixteen years old “would be footballer” You’ve got talent but it’s not enough; you’ve got to work hard and work again; only then you’ll be a world class player and going places” (dixit) David Ginola. Tottenham’s Fans How Well Do You Know Davinson Sanchez ?